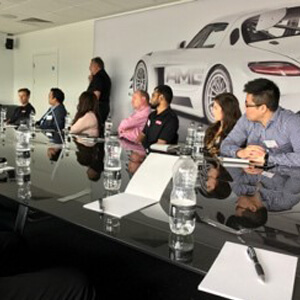 Another successful annual Client Day was delivered amongst a broad selection of our UK & Irish clients in the exclusive AMG suite at Mercedes-Benz World. Yet again another informative and enjoyable day was experienced by all at SEEBURGER’s annual Client Day. Updates on recent SEEBURGER activity (of which there has been plenty), digital transformation capability, API management and integration, as well as secure file sharing capability were presented and discussed. The keynote presentation outlined why and how Digital Transformation is becoming a mandate for all businesses. The subject matter prompted many discussions, indicating that many companies are looking to embark upon digitalisation projects and need help with doing so. How SEEBURGER is helping its clients in this digitalisation journey could be illustrated with various customer case studies. SEEBURGER is one of the world’s true digital pioneers and has been supporting and enabling companies of all sizes, for more than 30 years, to drive innovation, enhance customer service and reduce costs by implementing and improving digital business processes. The safe provisioning and consumption of data is becoming more critical to business as we embark upon the journey of digital transformation. Often that data is spread disparately across multiple applications. Pulling all of that data together through API’s (Application Programming Interfaces) and managing it from a central instance can be a challenge without the appropriate technology in place. Participants were keen to learn that SEEBURGER has a centralised integration platform that is positioned perfectly for managing the complete API lifecycle. 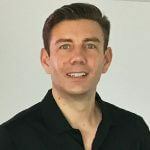 This includes creating, publishing and using API’s, securing them, and managing the integration of API’s for internal systems, applications, customers and business partners. The question of how enterprises permit their employees to share large files of sensitive data without compromising security was discussed. This is a critical requirement that needs to be addressed. Many companies have a pressing need for MFT (Managed File Transfer) solutions, from both a compliance and security perspective. SEEBURGER is positioned front and centre with leading MFT capability to provide any permutation of human and system oriented secure file transfer. The day was rounded-off with a Mercedes AMG driving experience on both the track and off-road on the challenging 4×4 course..
We at SEEBURGER would like to thank all of our clients for their participation at the event. We look forward to another successful Client Day in 2018.